As batman-new.com reports, there was a QR stamp at the bottom of the final poster released a few days ago. Once it's scanned, there is a hidden poster that can be found. There you have it! 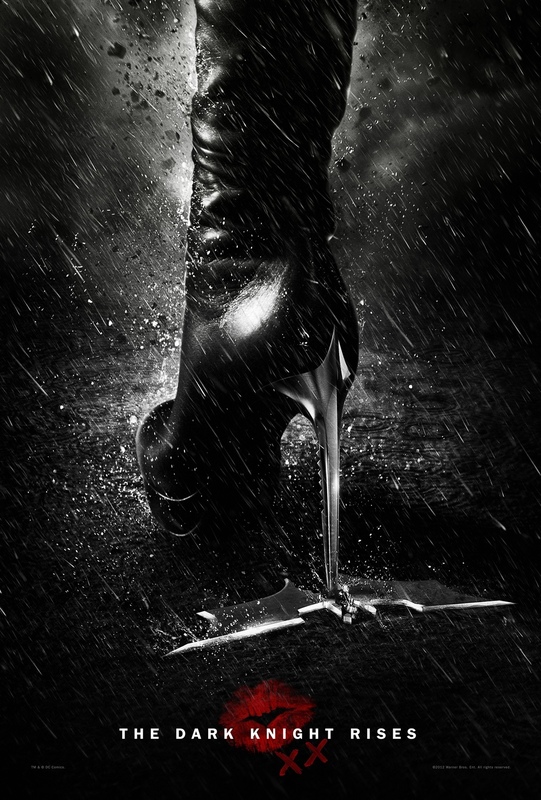 A secret Catwoman poster straight off the official website of the film! The QR code isn’t on any of the posters released online, however it is said to be present on printed posters that are displayed at movie theaters. Hit the jump to check out the poster. Make sure to check out the first two tv spots, photos, posters and banners released earlier. Director Christopher Nolan’s closing piece to his Batman trilogy stars Christian Bale, Tom Hardy, Ann Hathaway, Gary Oldman, Morgan Freeman, Michael Caine, Joseph Gordon-Levitt and Marion Cotillard. The Dark Knight Rises opens on July 20th. Two New ‘The Dark Knight Rises’ Banner Posters!